With thanks to Warren for passing the files on to me to move foward with the project, and now with full support from Toyota New Zealand. 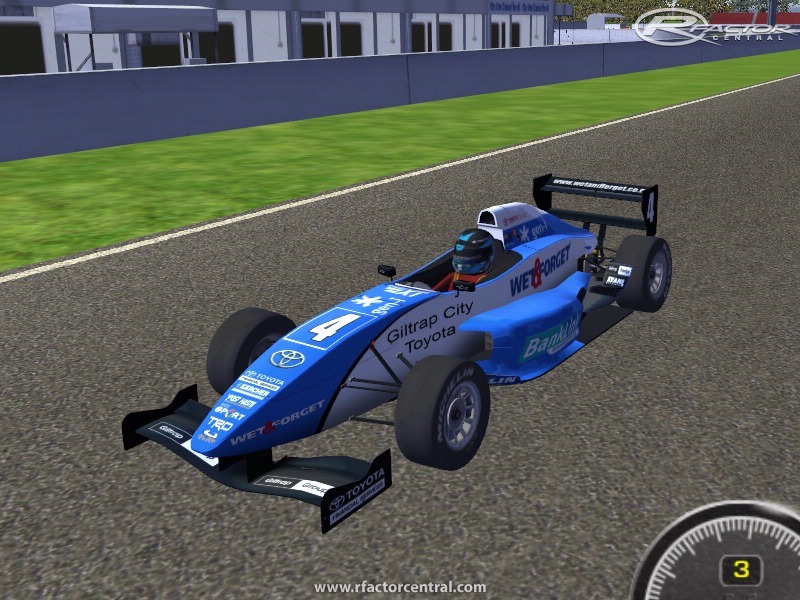 Toyota Racing Series New Zealand’s premier single-seater category After two hugely successful seasons the racing has proved to be exciting, fast and very even as this competitive single-seater class goes into it's third season. Toyota has made a long-term commitment to support this major series which is a National Championship and attracts Premier Gold Star status along with the New Zealand Grand Prix title, one of the very few Grand Prix outside of Formula One. 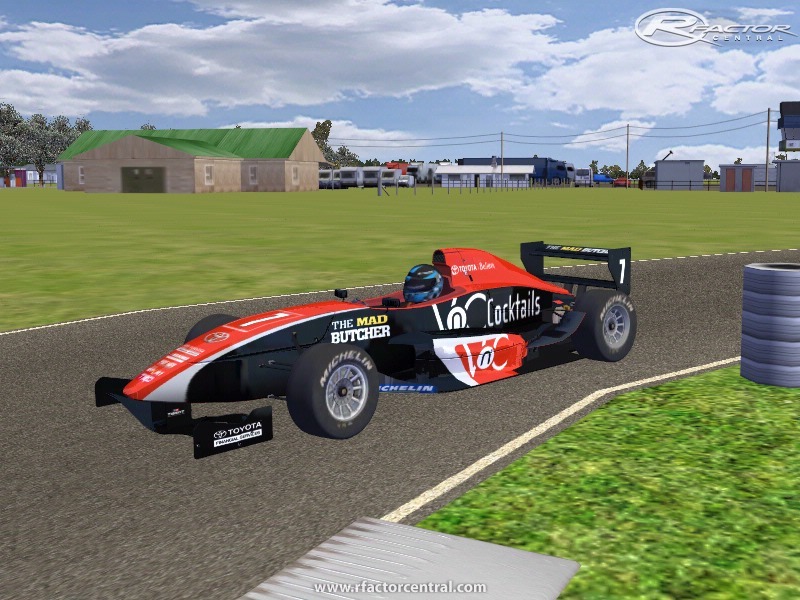 The TRS class gives a huge boost to single-seater racing in New Zealand. It is not only a competitive and financially accessible class for local teams but is also proving to be of real interest to overseas teams who see the series as a chance to compete in their Northern Hemisphere winter. ============================================ THE CAR Toyota 2ZZ-GE Engine - Cylinders: In-Line Four Cylinder - Capacity: 1800cc - Bore And Stroke: 82mm x 85mm - Compression Ratio: 11.5 - Power: 200BHP Approx. Front Suspension: - pushrod, monodamper Rear Suspension: - pushrod, two dampers Brake Discs: - ventilated, 274x17.5mm alcon Calipers: - 4 pistons, alcon Springs: - 58mmx140mm Wheel Rims: - aluminium, centre bolt fixation, front 8x13, rear 10x13 Safety: - fire system SPA, LED rear light Safety Harness: - 6 point 3" shoulder and lap straps Shock Absorbers: - bump and rebound adjustment Chassis: - Tatuus TT104NZ: monocoque carbon, F.I.A F3 Body: - Carbon Fibre Weight: - 480 KG Approx. 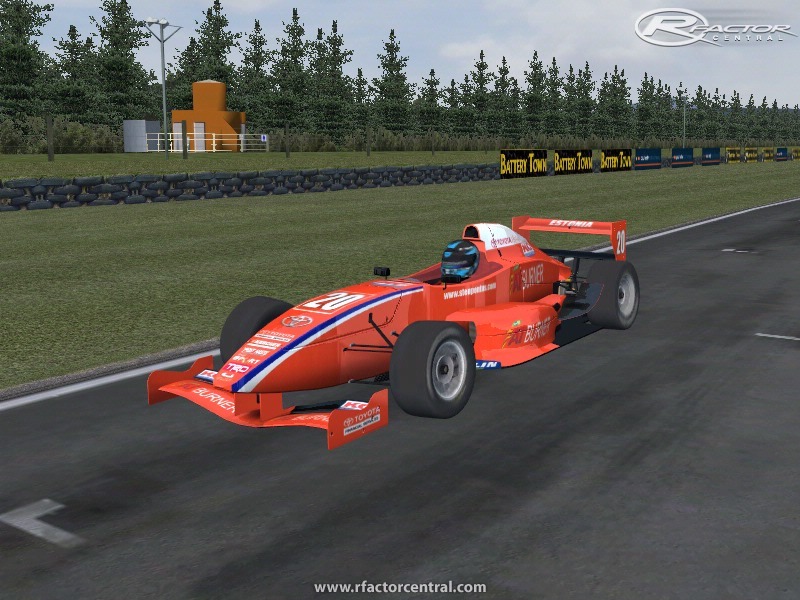 Fuel: - FT3 38/40 Litres Tyres: - Michelin Gearbox: - sadev sequential, 6 speed limited slip differential ================================== Car has been fully remodelled and textured by Shuttle and Motorfx after chassis manufacturer Tatuus provided blueprints to assist with accuracy. Thanks to Team Automotion who are assisting with data and access to the cars to get full authenticity, including providing in car video to get authentic sound replication. Dave Purdy has agreed to assist,ok more like to create the physics. Sound expert will be required to create sound files from in car video. 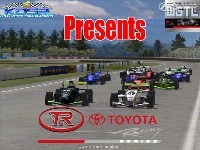 There are currently no setups for NZ Toyota Racing Series. Add a Setup. There are currently no car skins available for NZ Toyota Racing Series. If you are a painter you can share skins for this mod via the Car Skins area. Visit the Spray Booth for painting tips & tricks. Edited the .tbc file to get some heat into the hoops...might be wrong of me but have raced several vehicles from cars to 600 supersport and "tires get hot when raced on" - period. How do you warm the tires on this car?? I have low pressures for even heat (I,M,O etc) - and even sliding the front on every corner the highest I can get is 50 degrees....nowhere near the optimum 95 as per the tire.tbc file. I think there may be a problem with the ture model on this. 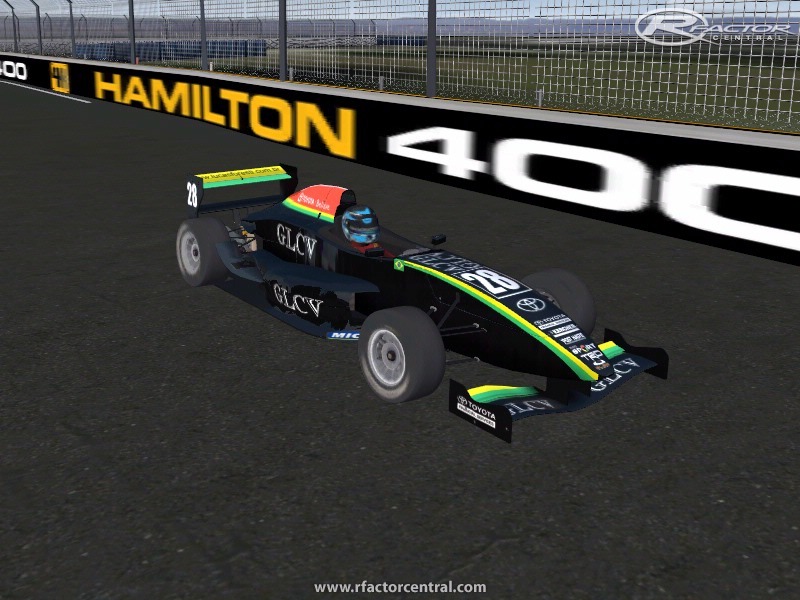 Also can push the front on every corner and still steers round the corner fine - handles very strangely compared to other open wheelers in rFactor??? Which download link did you use? This is the first time I have seen this error. I just downloaded from each link and did not have anything come up. Great mod guys, thanks a lot! Just one small thing. 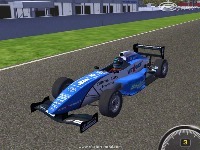 There is a small conflict with the Formula BMW mod by iDT. 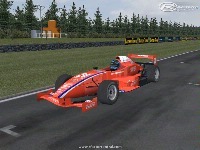 Their "Formula BMW Fantasy" is also appearing in the TRS showroom. Keep up the good work. Berkham, hows the series going? !! !LAS RUEDAS QUEDAN SUSPENDIDAS EN EL AIRE!!! 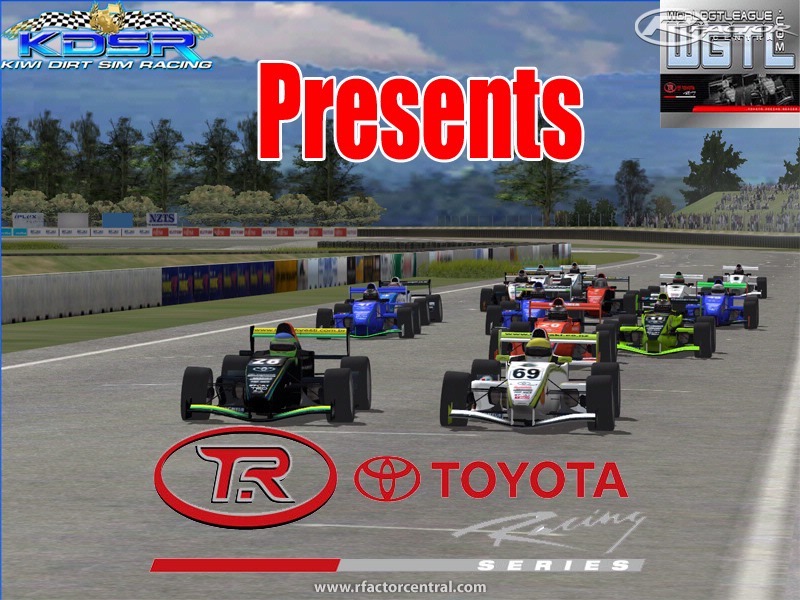 Track pack added, which will be used for the First Virtual TRS season coming soon.